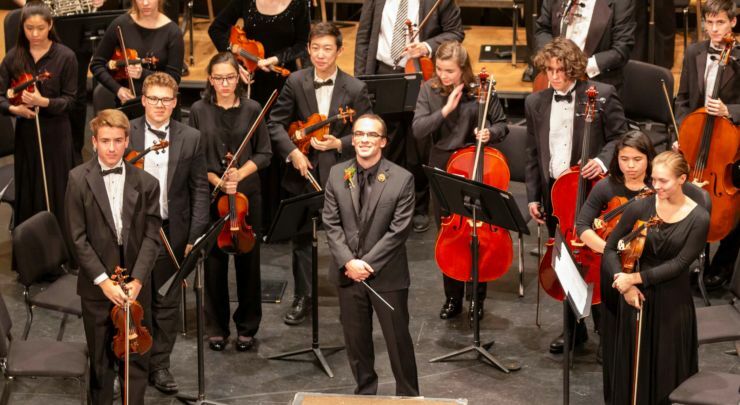 Student Orchestras of Greater Olympia’s Conservatory Orchestra presents several old warhorses of the classical literature. Maestro May’s program includes Suppe’s Light Calvary Overture, Beethoven’s Allegretto from Symphony No. 7, and Tchaikovsky’s Capriccio Italien. May will also be introducing a contemporary work by Dana Wilson titled Shortcut Home to round out the evening’s program. The concert includes the ever-popular Brass Choir conducted by Greg Allison, and the Academy and Debut Orchestras.